Celebrate the Good News of Jesus Christ with the Carmel family! Let us run with fear and great joy to tell others about the life, death and resurrection of Jesus. 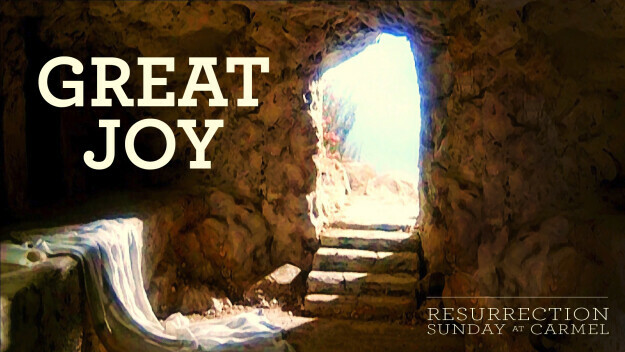 Bring the whole family, and invite a neighbor, to share in the freedom of the empty tomb. NOTE: CarmelKidz, Student and Adult Discipleship Communities will NOT meet on Sunday, April 21. Click here for details about our Good Friday Tenebrae Service on April 19.